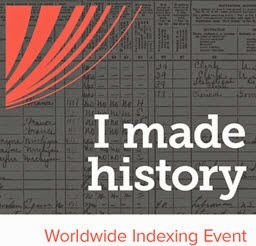 (https://www.google.com/maps) and type in a surname (preferably not a common surname). Down the left side of the page were numerous other hits such as Cutler Real Estate, Cutler Law Firm and Cutler Funeral Home. Now, the intrigue of this game is to find out why these cities were named after the particular surname you chose. I decided I would explore Cutlerville, Michigan, because I live in Michigan, and I happen to know that many of my Cutler ancestors eventually settled in Michigan. 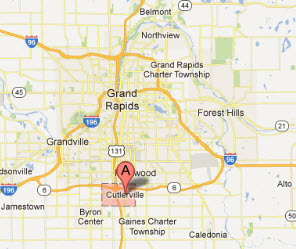 First I looked at a map to see where Cutlerville is located. I found that it is south of Grand Rapids on the Western side of the state. Hmmm. My Cutlers lived in New York State. Could there be a connection? I continued on to find Travelling Through Time: A Guide to Michigan’s Historical Markers on Google Books. Here I learned that the John Isaac Cutler House in Gaines Township was built in 1891 by John Cutler, Jr. The house was renovated in 1979 and renamed the Homestead. (8) The Michigan State Historic Preservation website (http://www.mcgi.state.mi.us/hso/sites/8026.htm) gives more detail on this house and on the Cutler family. At Flickr, I saw a photograph of the John Isaac Cutler House (http://www.flickr.com/photos/eridony/5394792622). I then went to Ancestry.com and explored the search results for the John Cutler family. I followed John’s line back and discovered that we share the same ancestor—James Cutler (b. 1605/6, d. 1694). James had a number of wives and John’s connection was through a different wife than my connection. Thus, John Cutler and I are half distant cousins. I now intend to visit Cutlerville; it’s only two hours away. I learned all of the above by doing a simple search in Google Maps on the Cutler surname. Try it out with one of your surnames and see where it leads you. Dover Publications, Inc., Mineola, New York, Electronic Clip Art, 1565 Spot Illustrations and Motifs, 2007. (1) Google Maps (https://maps.google.com: accessed March 24, 2013). (3) See Wikipedia (http://en.wikipedia.org/wiki/Cutlerville,_Michigan: accessed March 24, 2013), “Cutlerville, Michigan,” rev. 28 February 2013. (4) Romig, Walter. Michigan Place Names: The History of the Founding and the Naming of More than Five Thousand Past and Present Michigan Communities. Detroit, Michigan: Wayne State University Press, 1986, http://books.google.com/books?id=Y-FPXEGRo-YC&pg=PA144&lpg=PA144&dq=cutlerville+and+%22john+cutler%22&source=bl&ots=1x0d8PfSa0&sig=j6Y1Aqq0for-DOZ0fA060kmbLN4&hl=en&sa=X&ei=1SxOUbv7PIHnyAHbl4G4Cg&ved=0CGkQ6AEwBw#v=onepage&q=cutlerville%20and%20%22john%20cutler%22&f=false: accessed March 24, 2013. (5) Soper, Steven. "John J. Cutler." Men of the 3rd Michigan Infantry: The Life Stories of the 1,411 Soldiers who Served in the 3rd Michigan Infantry between April of 1861 and June of 1864 (blog), June 24, 2008. http://thirdmichigan.blogspot.com/2008/06/john-j-cutler.htm: accessed March 24, 2013. (7) See Blain Cemetery, Cutlerville, Kent County, Michigan, Find A Grave, http://www.findagrave.com/cgi-bin/fg.cgi?page=gsr&GSiman=1&GScid=124&GSfn=&GSln=cutler: accessed March 24, 2013. (8) Laura Rose Ashlee, Travelling Through Time: A Guide to Michigan's Historical Markers, Revised Edition, (Ann Arbor, Michigan: University of Michigan Press, 2008), 222, http://books.google.com/books?id=Xd-mh9r0zEkC&pg=PA222&dq=travelling+through+time+gaines+township+cutler&hl=en&sa=X&ei=USBPUYXUGMjkywGAzYCABw&ved=0CDYQ6AEwAA#v=onepage&q=travelling%20through%20time%20gaines%20township%20cutler&f=false: accessed March 24, 2013.